Yes, I said the BEST [and for good reason!]. I've had this recipe a few times now, and it never gets boring or old or any less delicious. My good friend brings this to parties all the time, and it's such a crowd pleaser, I had to share the recipe with you! I love it with multigrain tortilla chips. The scooping variety is quite key for these, as that's the best way to get a handle on all the good bits of this salsa! At first, using Italian dressing seemed like an odd choice, but it seems to be a quick shortcut that really brings the entire dip together. 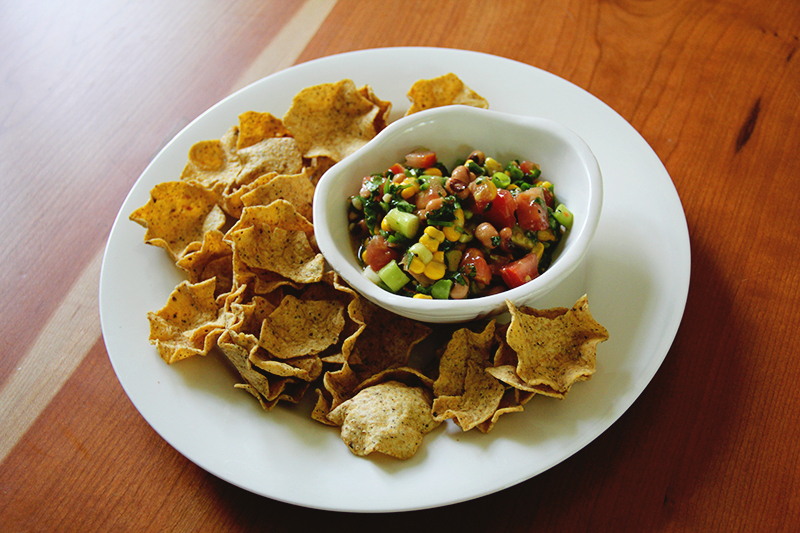 Naturally, I'm writing [and raving] all about this delicious salsa, as I start to plan my grocery list for the week. It's no surprise I'll be making this recipe in the very near future!